As the whole world celebrated the second International Day of Yoga on 21st June, 2016, Jamia Hamdard too joined in with full vigor and enthusiasm. 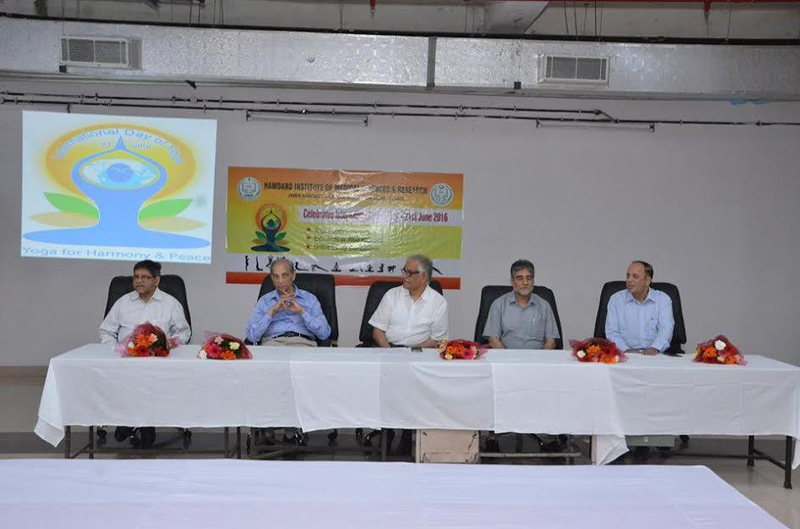 Jamia Hamdard, a Deemed University in Delhi, organized a programme on its campus to celebrate International Day of Yoga, under the able guidance of Honorable Vice-Chancellor, Dr. G N Qazi. The series started with talks on the positive effects of Yoga and Physical and Mental Health. Professor Shridhar Dwivedi, Senior Consultant Cardiologist and former Dean of Hamdard Institute of Medical Sciences and Research (HIMSR), the medical college of Jamia Hamdard, spoke persuasively on the practice of Yoga to prevent and help in treatment of modern lifestyle diseases like hypertension, stroke, cardiovascular diseases, etc. This was followed by a talk by Professor R C Aloha, Head, Department of Psychiatry at HIMSR. He advocated the utility of Yoga in combating mental diseases in 21st century. The two talks together on physical and mental health symbolized the concept of Yoga, the union of body and mind. 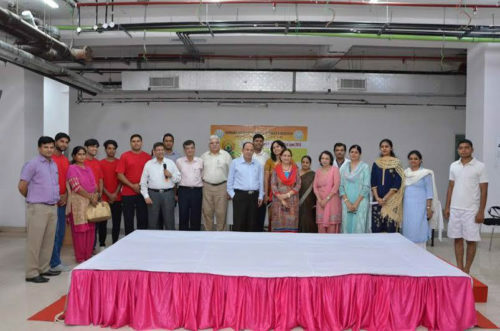 Jamia Hamdard had also organized an online essay competition for its medical students on the topic of Yoga – myths and realities and the role of Yoga in healthy lifestyle. The winner of this competition was the final year student, Ms. Farhat Fatima. She spoke and enunciated on the history of Yoga and India’s contribution in spreading its legacy of Yoga world over by securing UN resolution to mark 21st June as International Day of Yoga. 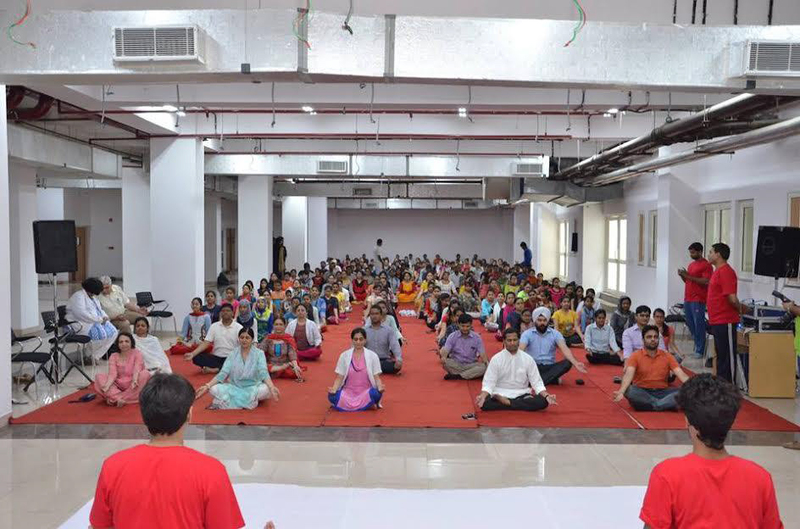 After all the talks, it was time for some real action as nearly 400 students and faculty members of Medical, Nursing and Rehabilitation streams at Jamia Hamdard, got together for performing Yoga Session. In an exhaustive 45- minute session, the participants flexed, bent, turned and stretched to learn a whole new healthy lifestyle. With a resolution to incorporate the Yoga in their daily lifestyle and fitness regime, to counter the malignant lifestyle of 21st century full of stress and strain, the participants left with a bright smile.